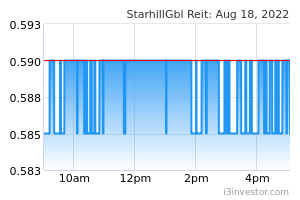 Starhill Global REIT's 2Q19 DPU of 1.13 Scts in line with expectations. Singapore retail outlook remains soft in the immediate term; office portfolio seeing increasing take-up. Australia offers strong stability with long-term leases. Expected upcoming renewal of master lease in Malaysia (13% of revenues) to serve as catalyst for the counter. 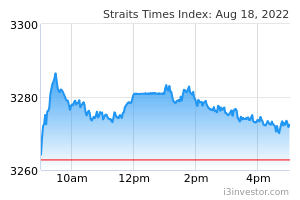 In 2Q19, STARHILL GLOBAL REIT (SGX:P40U) saw gross revenue and net property income (NPI) fall 2.7% and 2.4% y-o-y to S$51.0m and S$39.5m respectively. This was mainly due to the lower revenues from its Singapore properties (mainly weakness in rentals for Wisma Atria retail space) and the weakness in the AUD vs the SGD. However, they were partially offset by higher revenues received from the office portfolio in Singapore, mainly driven by higher occupancy rates. As a result of a weaker NPI, distributable income also dipped by 2.0% to S$25.2m and after income retained, income to distributed amounted to S$24.6m, translating into a DPU of 1.13 Scts. The Singapore properties remained the driver to earnings at 62% of revenues; however outlook is still mixed. Occupancy rates for its Singapore properties increased marginally q-o-q to 96.0% mainly due to improvement in occupancies at its offices ( 93.6% in 2Q19 vs 90.3% in 1Q19) with expectations of further upside in the medium term. Retail space saw a slight decline to 97.8% vs 98.7% a quarter ago but committed occupancies remain high at 99.2%. Rental reversions are understood to be negative across its retail space, largely due to the ongoing soft operating environment. Looking ahead, we expect to still see slight negative rental reversions as the strategy employed by the manager is to continue prioritising occupancy over rents in order to retain and attract tenants. Master lease in Malaysia to expire in June 2019. While Starhill Global REIT continues to derive stability from its master lease in Malaysia (13.5% of 2QFY19 revenues) from its Sponsor, it is up for renewal and renegotiation in June 2019. We understand that discussions are underway to extend the lease and it might be finalised fairly soon. With competition along the Bukit Bintang stretch as other landlords have refreshed their offerings, we believe it is also an appropriate time to consider a asset refurbishment at Lot 10 and Starhill Gallery. While investors might be concerned about the renewed master lease rate, we believe that more certainty on this front will help alleviate concerns of any potential downside to revenues in the medium term. Long-term leases for Myer and David Jones augment earnings stability for Starhill Global REIT's Australian portfolio. Overall occupancy rates improved marginally q-o-q to 97.6% and 84.4% for Perth Properties and Myer Centre Adelaide respectively. Specifically for Myer Centre Adelaide, committed occupancy rose to 91.7% due to a new anchor coming on board for its office space. The retail portfolio stood at 95.8%. Gearing remains stable at 35.6% with all-in interest cost standing firm at 3.29%. Starhill Global REIT has 91% of its interest cost fixed/hedged with an weighted average debt maturity of 3.3 years.